We have changed this young man’s name to protect his privacy, but he and his girls are actual WNC residents, and their story is real. Adam has a full time job, but it’s still not enough to keep food on the table for his three daughters. They are part of the working poor – a growing segment of Western North Carolina residents facing a hunger crisis. Every day, our MANNA partner network encounters hard-working people like Adam who struggle to afford food and face an uphill battle against financial obstacles. Too often, food has to take a back seat to their rent, utilities, and other priorities. Adam and his girls are representative of what 1 in 6 people, and 1 in 4 children, in Western North Carolina face – a daily struggle with hunger. MANNA works hard to be there for people like Adam and his daughters, right when they need us most, but we can’t do it without your help. 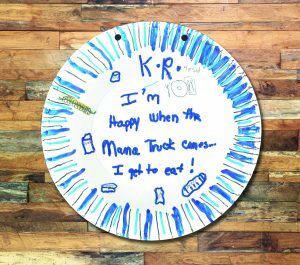 You can help us help families like Adam’s: For every dollar donated to MANNA, we can provide enough food for 3.5 meals. That means just $25 can provide more than 87 meals for our most vulnerable community members, like children and seniors. 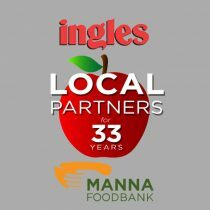 Every dollar donated to MANNA helps provide enough food for 3.5 meals. To make a secure, online donation visit our donation page. You can call our office at 828-299-3663. You can mail checks directly to our office at MANNA FoodBank, 627 Swannanoa River Road, Asheville, NC 28805. If you would like to learn about our endowment or make plans for a legacy gift, please call our Director of Planned Giving at 299-3663 ext. 1243, or email Give@MANNAFoodBank.org. To put it simply, MANNA and the partner agencies could not exist without volunteers. Over 7,000 dedicated more than 73,000 hours of their time in 2017-2018. Volunteers are always needed throughout our 16 county service area. We can accommodate large groups or individuals. Whatever your skill or passion, please consider joining us to achieve our vision of a hunger-free WNC. Call our volunteer center at 299-3663 ext. 1245, or visit our volunteer page. 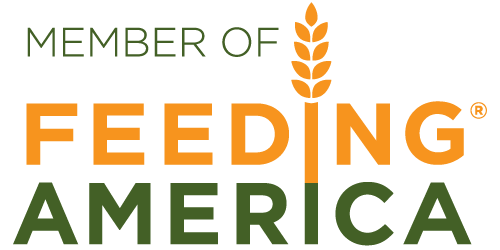 There are many ways to learn more about hunger on a local and national level and MANNA FoodBank’s response. Visiting our warehouses or volunteering is often a first step. Call 299-3663 to schedule a tour of facilities. Food drives are also a great way to engage your friends and co-workers and help those facing hunger.